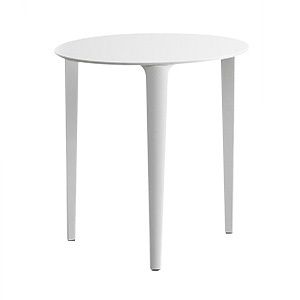 Round dining height table. 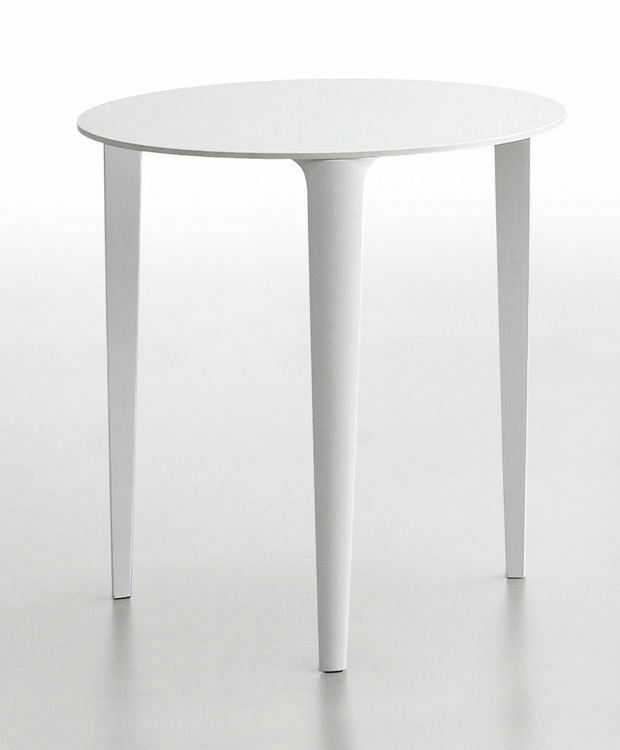 Lacquered steel base. Melamine or HPL top.